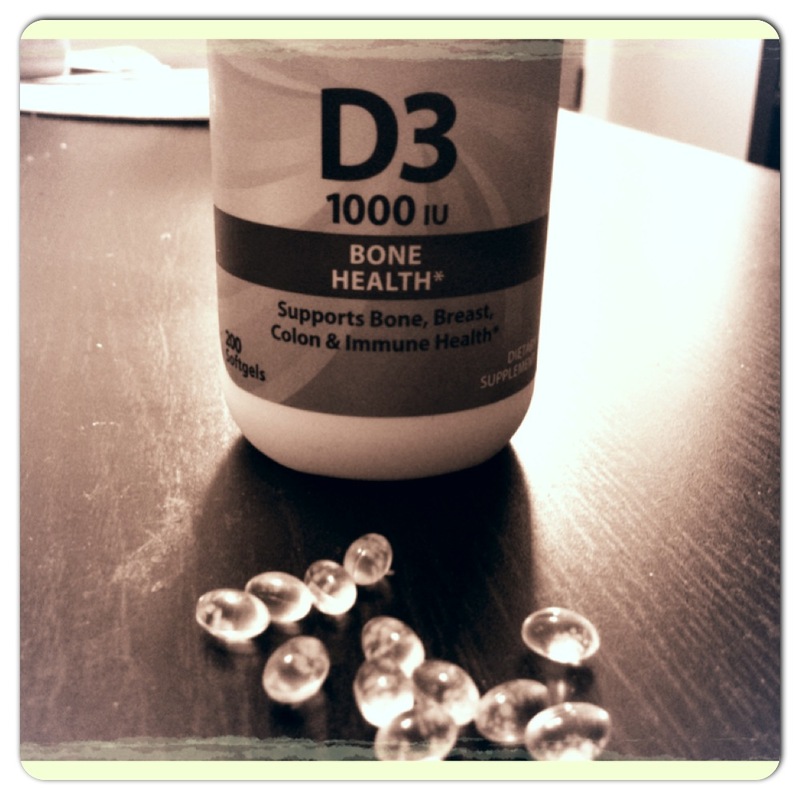 Vitamin D – Is a Supplement Enough? Vitamin D has gotten a lot more publicity in recent years as a MUST TAKE supplement. It is key for mineral absorption, especially the absorption of Calcium, which means strong bones! Research has also shown that Vitamin D may help protect us against osteoporosis, high blood pressure, cancer and a few autoimmune diseases. The vitamin plays a huge role in cell growth, neuromuscular and immune function and the reduction of inflammation (which means less risk for disease and better overall health!). So because we’ve discovered how incredibly important Vitamin D is to our health (and the fact that most of the population is DEFICIENT in it), everyone and their mother’s uncle recommends that you take a supplement to get enough. But is that supplement really as good as natural sources? Even the bottle boosts its health benefits. Yes and no….boy I bet you love that answer! Yes because it is Vitamin D that our body can use. It is the vitamin that we need and we can get it in the doses that we need. And the supplement does work as well as the natural source. But a slightly bigger NO not because of the supplement itself, but because of what it means if you actually NEED the supplement. We should get Vitamin D from foods, such as fish and eggs, and from sunlight. We should be eating enough whole natural foods and getting in enough outdoors time that we get plenty of sun (it really only takes 20-30 minutes). For many of us though this isn’t as easy as it would seem. So we turn to a supplement. Which if we are trying to eat well and be active, isn’t necessarily a bad thing. I know in Boston it was SUPER HARD to get in a proper allotment of sun each day. BUT I still ate super clean and did what I could do get outside when I could. So to make sure I got enough Vitamin D, I took a supplement. 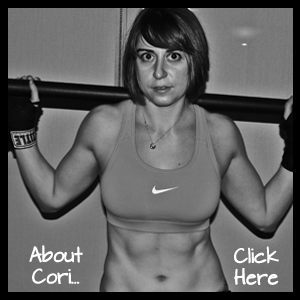 BUT I didn’t use a supplement to excuse a bad diet and inactivity. Let’s face it…If you eat crap, don’t go outside and have fun and be active, then you aren’t going to be healthy no matter how many supplements you take. So yes…a supplement can be great if you have a healthy base and really try to get as much natural Vitamin D as you can, BUT no it isn’t good if you supplement while still living the same crappy lifestyle. Because honestly….there is so much more than Vitamin D that you are missing out on if you eat crap, are inactive and never go outside and play! I mean think about it…If you are eating crap food, not only are you not getting enough Vitamin D, as well as other essential vitamins and minerals, but you are also getting a TON of bad for you, inflammation causing crap like vegetable oils and added sugars. And if you aren’t going out in the sun every day not only aren’t you getting Vitamin D, but you aren’t getting a lot of the benefits that usually go along with an active outdoor lifestyle. Let’s face it…people who usually get out in the sun every day are the same people who are more active and an active lifestyle has health benefits like improving your cardiovascular health and bone density. On top of that, being out in the sun can really really improve your mood. Stressed? In a bad mood? Maybe getting a bit more outdoor time is the answer. So to sum all of this up…YES a supplement can be a very good way to help you get adequate amounts of Vitamin D, but NO it is not a magic pill. If you want to be truly healthy, you need to do all that you can to get Vitamin D from natural sources – healthy food and sunlight. Vitamin D supplementation is something that you turn to only when you can’t hit the required amount while doing your best to live a healthy lifestyle. Posted on March 25, 2013, in Diet, Supplements and tagged autoimmune diseases, bone healthy, health benefits of sun, health benefits of vitamin d, healthy supplements, immune booster, sunlight benefits, vitamin d, vitamin d benefits, vitamin d supplement, vitamins. Bookmark the permalink. Leave a comment.